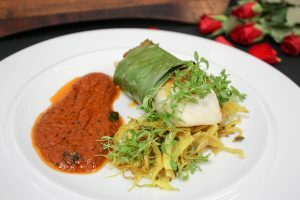 How an Asian wedding caterer would plan the Royal Wedding! With the Royal Wedding between Prince Harry and Meghan Markle around the corner (May 19th 2018) we can’t help but imagine what we would do if we were to plan the Royal Wedding! With so many options and an array of ideas available, and a potentially wider scope considering they are a young, modern and trendy couple, we’re pretty sure there will be a blend of both the traditional and the contemporary. Mixing Royal class, youth and enthusiasm, here is how Mazaa would throw a big Royal Wedding! Indian catering at the Royal wedding would be a complete contrast to traditional food and being an Asian wedding caterer; we would offer an À La Carte Wedding Breakfast which could be served on the morning of the big day! With a varied menu with options like tandoori stuffed aloo (potato stuffed with raisins, spinach, paneer) as a starter, as well as offering malai chicken tikka, aloo methi & makhani gravy, or creamy chicken tikka with potato & spicy tomato gravy as a main dish, complete with a range of vegetarian options and desserts. We’re sure the food would be a total hit at the Royal Wedding! The venue sets the scene, atmosphere and tone for the Wedding and we’d want the Royals to have the best! Wrest Park country estate is located in Silsoe, Bedfordshire and features a beautiful 18th century garden spreading over 92 acres of land, with the interior decorated with impressive columns and boasting ornate State Rooms, the venue is nothing short of opulent. Not forgetting the long, formal canal split in the centre of the gardens. 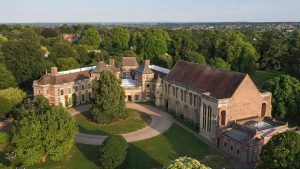 Another English Heritage location, Eltham Palace, is an impressive historical site that has been linked with a distinguished line of Royal figures since its construction in the 12th century keeping with the traditional aspect of the day. 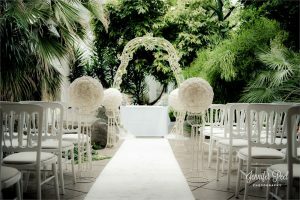 The venue has evolved over time, however its modern design would present a perfect blend of contemporary and tradition. 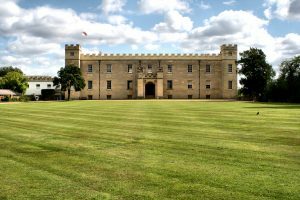 A perfect Asian wedding venue, so we love Syon Park! It has a wealth of history due to being built in the 1500s and is one of the last great houses of London. The house holds a wealth of art within its classical interiors whilst the Park and Gardens feel like a deep countryside, creating a picturesque scene for the Royals. This contemporary wedding venue located in Royal Leamington Spa offers beautiful fountains and sweeping lawns, as well as stunning walls of glass, and a terrace offering views of the entire garden. Creating an intimate and harmonious atmosphere, this venue would be a perfect venue for the Royals. 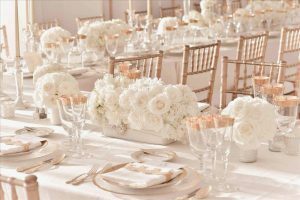 Good décor is essential, it sets the tone for photographs and imagery as well as creating the right atmosphere for guests, and the Royal wedding should feature the best! We love the warmth of colours like rose gold and copper. Its versatility will go with any colour scheme, and add a great contrast to the wedding aesthetic. Rose gold oozes the glamour and sophistication that we think would suit the Royal couple. Floral backdrops are big for weddings this year and we’d love to see the Royal Wedding incorporate this trendy theme. The circular ceremony backdrop adds a modern twist to the wedding ceremony, whilst a floral reception wall makes for great photos of the bride and groom. Creating the perfect photography opportunities throughout the wedding, floral backdrops are a nice modern touch to the wedding. Transparent elements are trending for 2018 and it’s only fitting that we’re on trend for the Royal Wedding! Everything from the venue itself, to the interior, to tables and chairs: the transparency theme is ideal for the modern couple. An elegant glass marquee adds a unique twist to the wedding. And with gardens like those of Jephson Gardens and Syon Park, the glass marquee creates a picturesque setting. It’s the traditional marquee alternative and it’ll keep it private for the Royals with uninterrupted views creating the perfect space to bring the outside in. Not forgetting Pippa Middleton had one installed in her parent’s garden for her wedding last year – so it’s definitely a trending theme for the Royals! Chandelier lighting is seen as a statement of luxury and affluence which would suit the couple’s class and style. This lighting centrepiece makes any wedding venue look extremely grand and sophisticated. Combining the classic lighting with contemporary wedding décor would be fitting for the day! These are just a few things we would do to plan the Royal wedding. What would you do if you were given a chance to plan the wedding for the Royals?